*this post may contain affiliate links and at no cost to you I may earn a small compensation for affiliate sales. 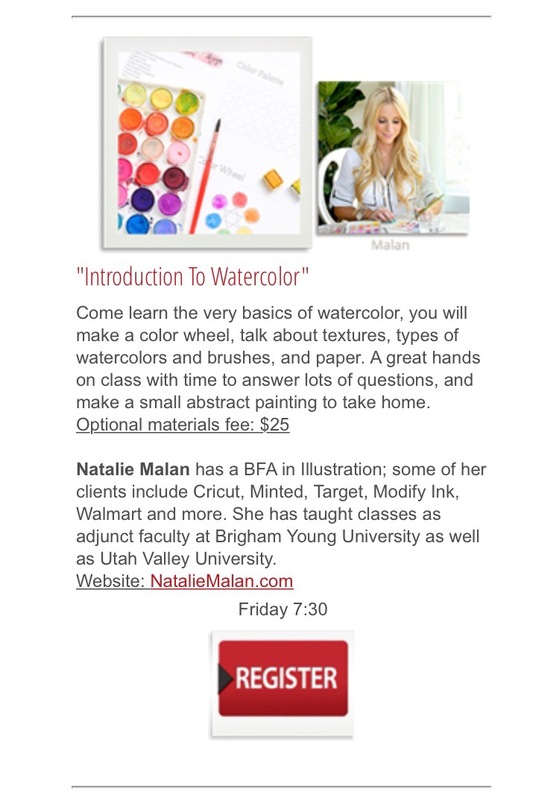 Start your year off right and join us for a workshop Friday Jan 20th at Paper Crush in Lehi! 6-8pm with more details available here. 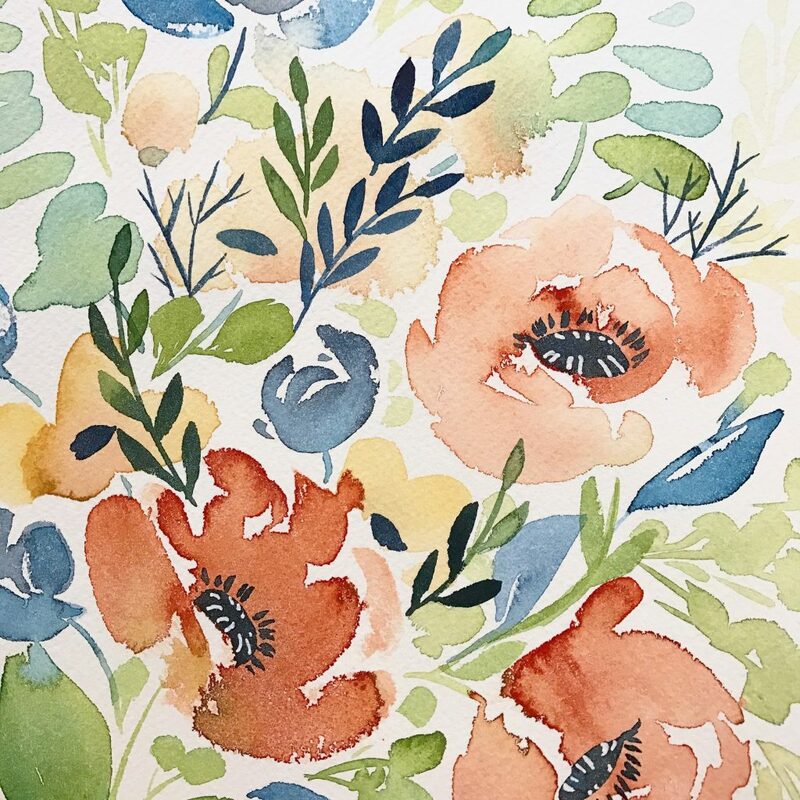 We will be painting watercolor florals and talking about all kinds of fun tips so sign up, sign up a friend and come with all your questions! 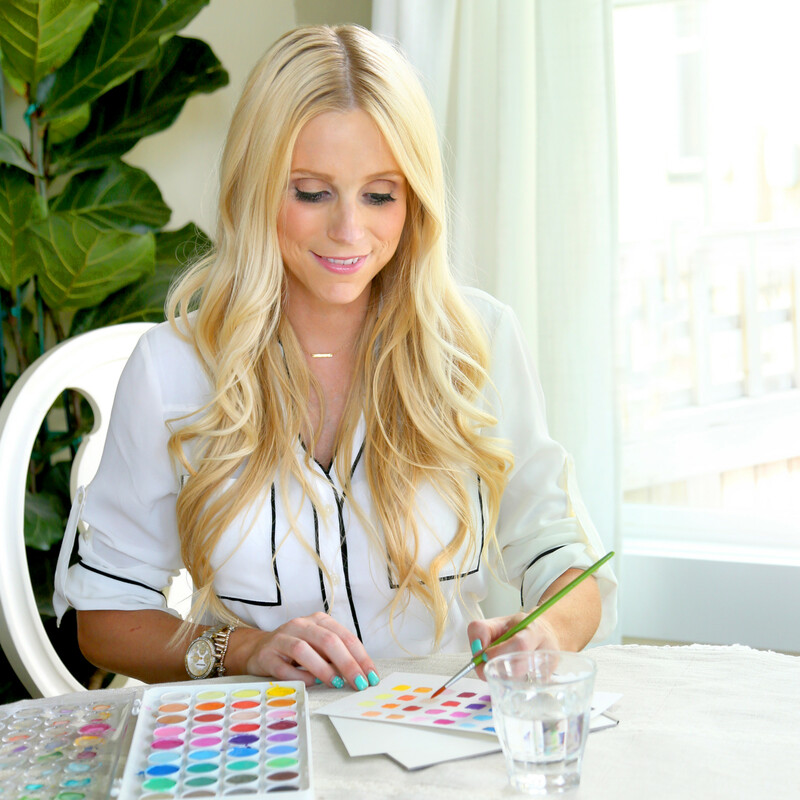 Making time for new hobbies is always hard but I have a few tips for anyone wanting to pick up a paintbrush more often in 2017. You may have been following along with my paper printables and things from Miss Alice’s delivery and announcements, so this blog post will probably come as no surprise to you! 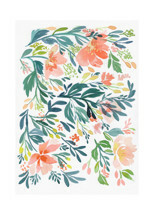 Around here, watercolor florals are not in short supply. 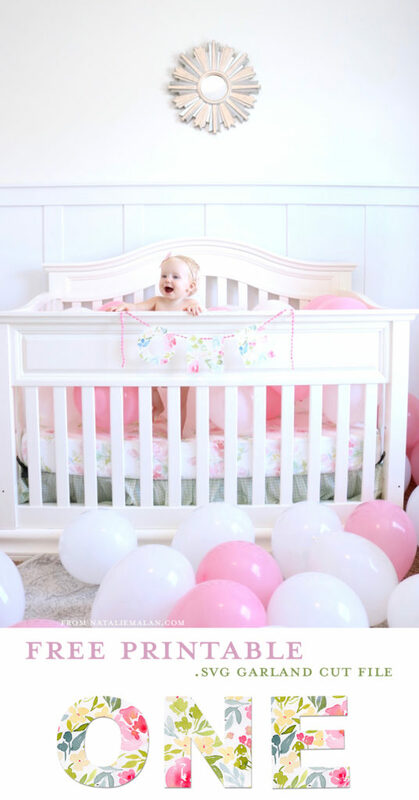 We celebrated her first birthday with a simple family party (blog post coming soon), and surprised her when she woke up to a room filled with balloons!!! 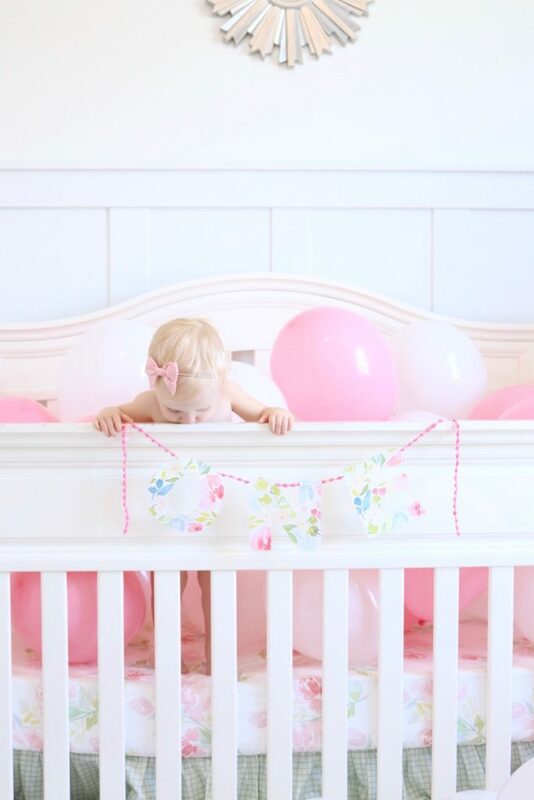 She was so excited to see her siblings’ happy faces playing in her room and couldn’t stop batting balloons around. My gift to Alice was her new crib sheet with fabric I designed for Spoonflower. They kindly sent me two yards of their Basic Cotton Ultra in the pattern Watercolor Peonies for Alice. Sooooooo in love!!!!! It’s such a great print, and it’s so crisp and pretty on their Cotton Ultra. And it’s washed up wonderfully so many times already. It matches her swaddler from the hospital, and turned out exactly how I imagined it. I looked forever for something similar in a crib sheet and couldn’t find anything I liked, so I made my own. And it took me less time to sew it than it took me to write this blog post!!!! It was SOOO much faster than I imagined! 😉 You can find links to the fabric by clicking here. 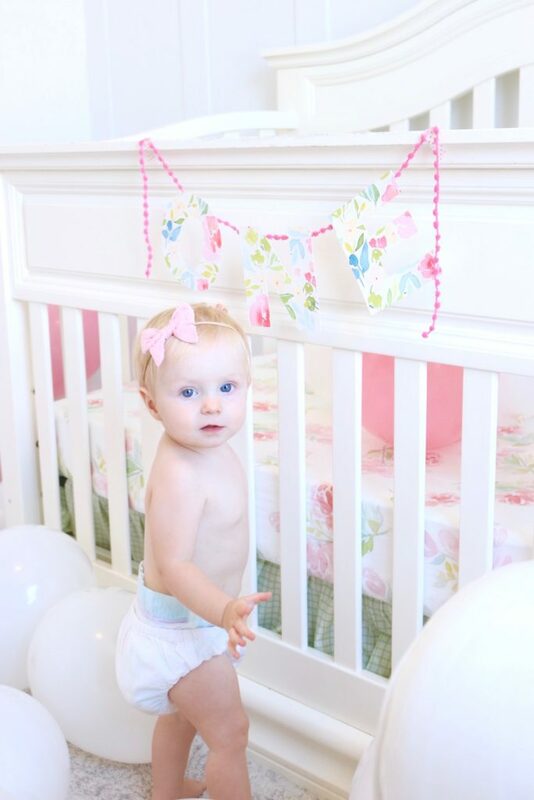 And here’s a good crib sheet sewing tutorial. I’ve also got a great video tutorial over on the Spoonflower blog on how to make your own no sew blanket so be sure to check that out too. 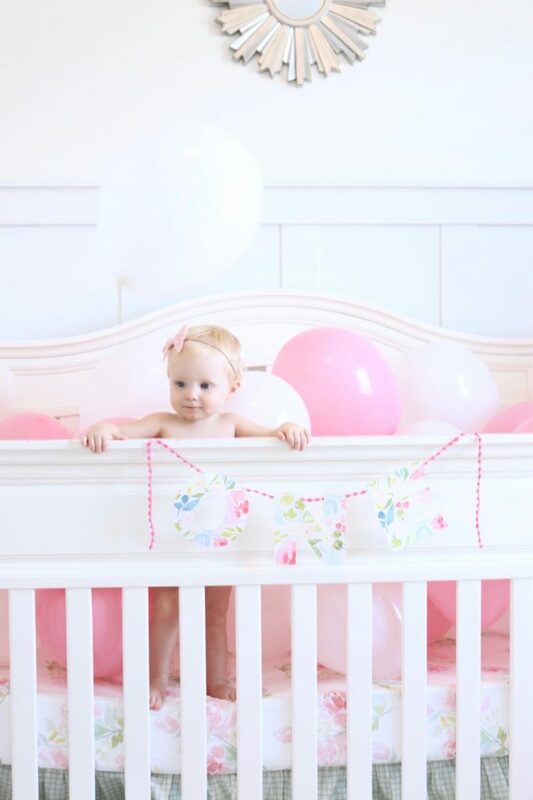 Her new crib sheet is my favorite thing in her room, and I love the thought of her waking up on top of a pattern that I painted for her before she was even born. 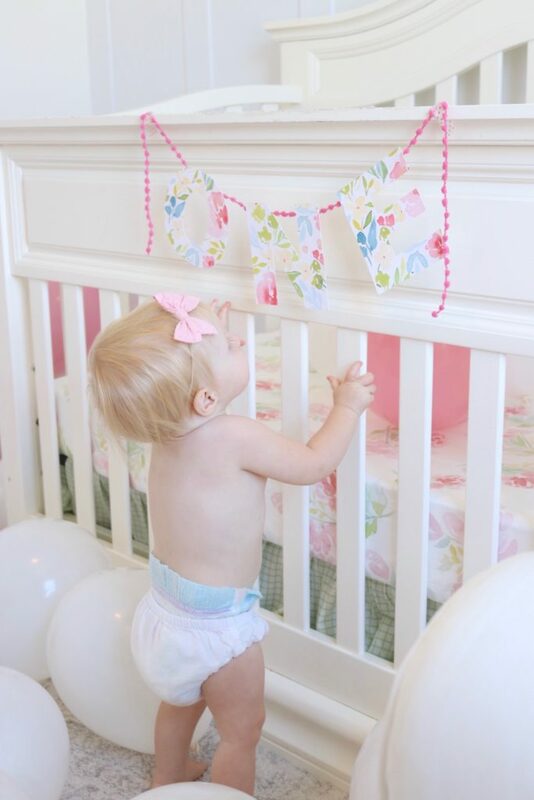 My other gift for alice was making her another cute banner to celebrate. 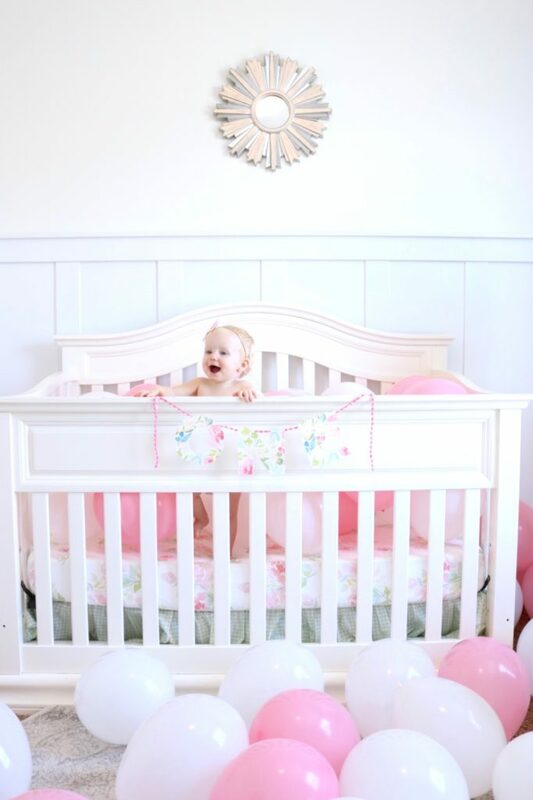 I loved the cute bassinet one I made for her birth (free download for that here) so much that I wanted something with that same look and feel. I used my wonderful watercolor pattern fill for Cricut. 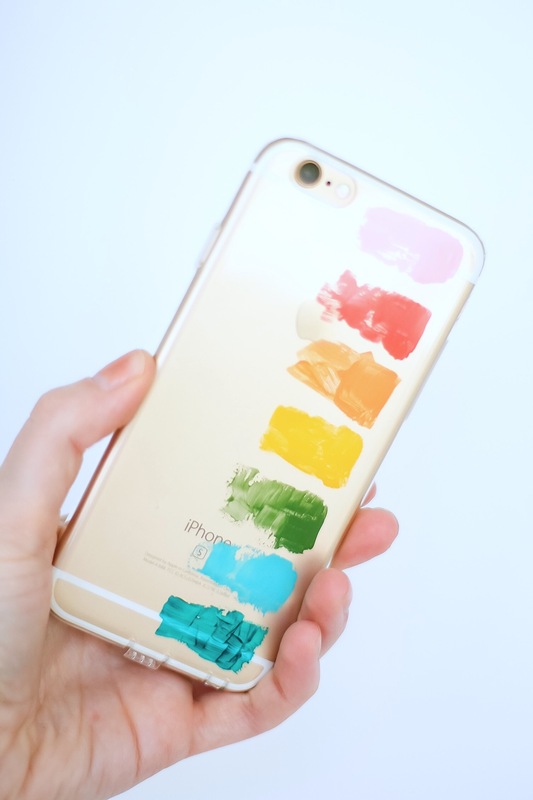 If you haven’t used a Cricut Design Space pattern fill before, there’s a great tutorial here. You can find the same pattern fill I used here in the pattern library. I’ve created a little screen capture video tutorial for you to see how I did the pattern fill. 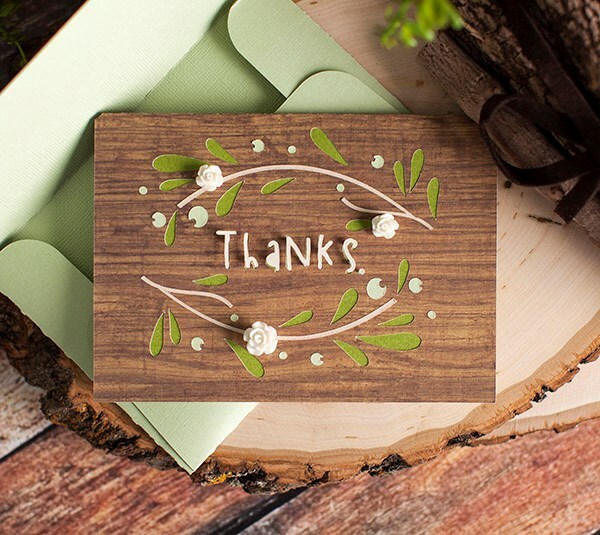 Click here to continue to Cricut Design Space, and try it out for yourself for free! In design space you can try out images and plan your project before purchasing any files which I LOVE. Click on the link below to download the free .svg cut files. Hey y’all! I’m busy prepping all my kits and two classes for Pinners Conference in Dallas Texas! 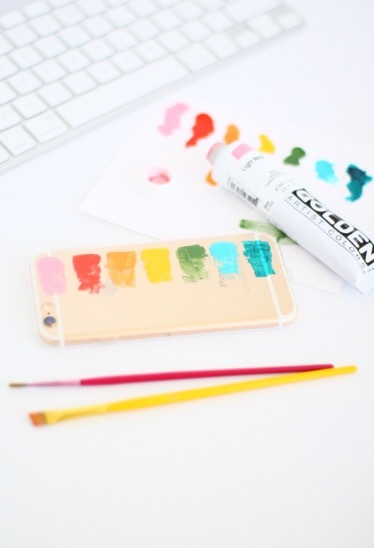 And I wanted to share a promo code just for you for 10% off your registration fee for classes! The code is: NatalieMalan (and it’s not case sensitive). You can also use the code:FreeShopping …..to pre register for entrance to the trade show floor, but not any classes. 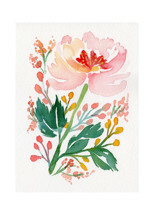 My watercolor classes have filled up INCEREDIBY quickly in the past, so make sure you sign up ASAP if you want to come! 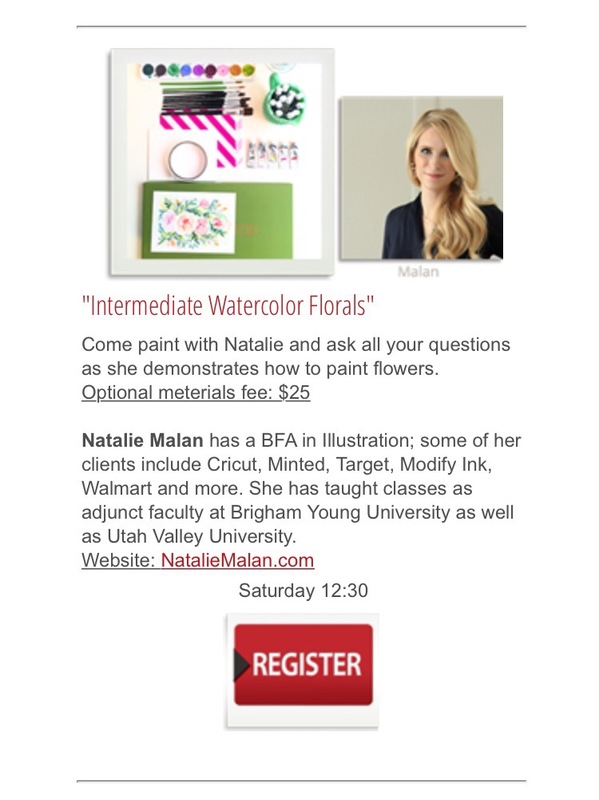 My class in Utah last year had a line around the space starting 45 min before so feel free to come to class early and purchase a kit and be ready to paint as soon as you walk in the door. I’ll be by the classroom early chatting and helping out with the kits. 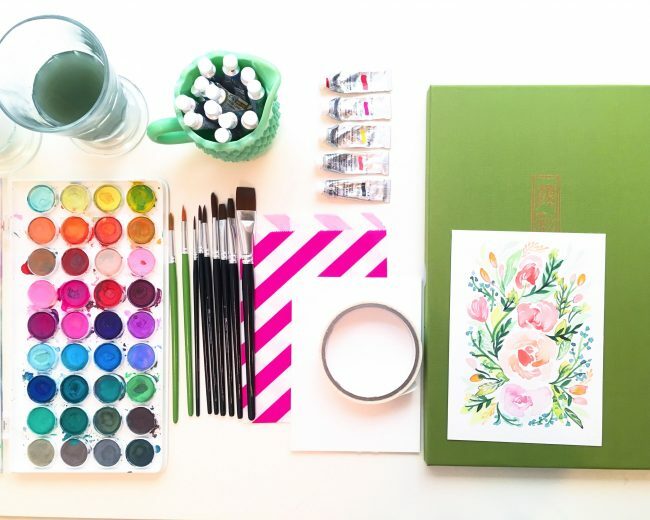 The $25 kits include a 36 color watercolor set, a great brush, pieces of paper to get you started. Can’t make it to the class? Check out our kits online here. 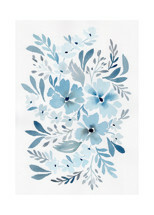 This is a great place to start if you’ve never watercolored before. 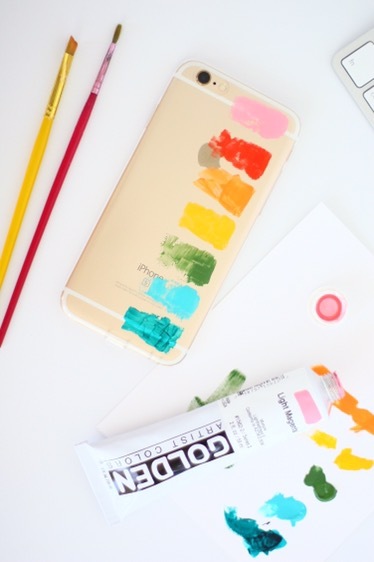 We will talk about paint consistency, color mixing, edges, and more! And you will have time to practice what we have talked about in class while I walk around and answer questions. The follow up class for the Intro class! We will go for it and start painting some really fun flowers in this class! Water bottle if you have one! Preferably for water, Diet Coke is amazing, but may be a little sticky to paint with. Questions! This is the BEST benefit of a LIVE class!!!! Ask away! A smile! Because it’s scary on stage. And I love a good reassuring face in the crowd! And who doesn’t love a paint party?! Just a quick post about what I’m doing these days to take care of my skin. I don’t drink nearly enough most days and I can tell a difference when I do. 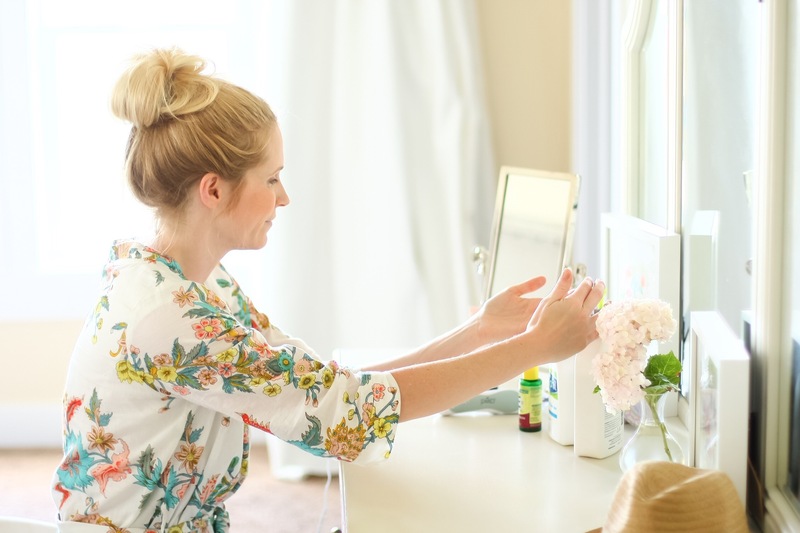 My skin is more youthful and less dry (especially around my eyes) when I drink enough. 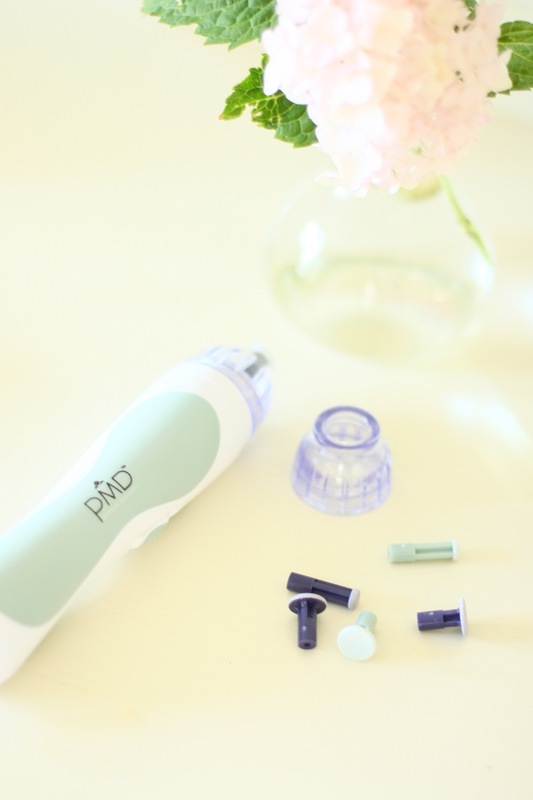 PMD sent me their Microderm abrasion kit to try out recently. I’ve used Microderm abrasion for a few years now in the form of a cream. I have some slight scars on my chin and it makes them much less noticeable. But the PMD has been on my list to try for a while now, and I honestly thought it had needles in it for some strange reason???? Good news; it doesn’t. It uses unassuming little sander discs. So yay for not being scary. I was excited to try the PMD out and see what I thought. Now, I want to be clear that the people at PMD aren’t paying me for a blog post; I was sent product for an Amazon review, and I’m posting it here because I really truly like the product. 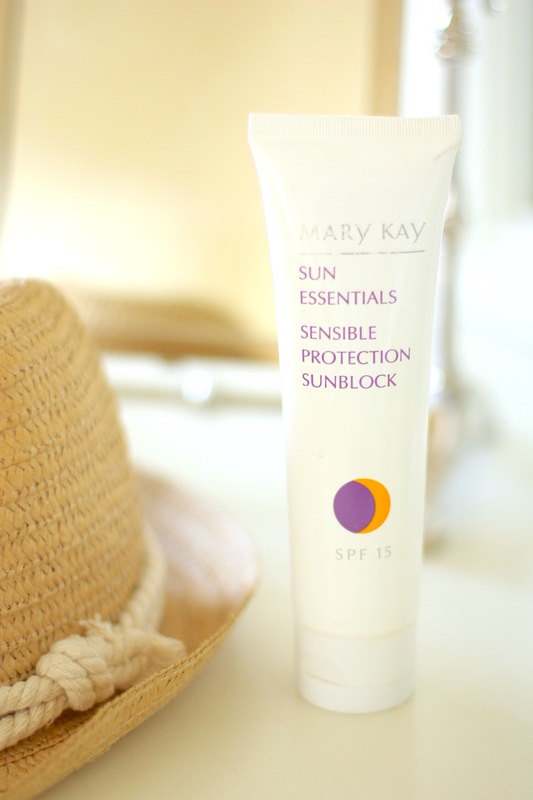 I read all the instructions and gave it a try (I have sensitive skin so I used the gray disc). And my skin has been feeling dewy and soft since. I use less moisturizer and my make up goes on smoother when I take the time to exfoliate. 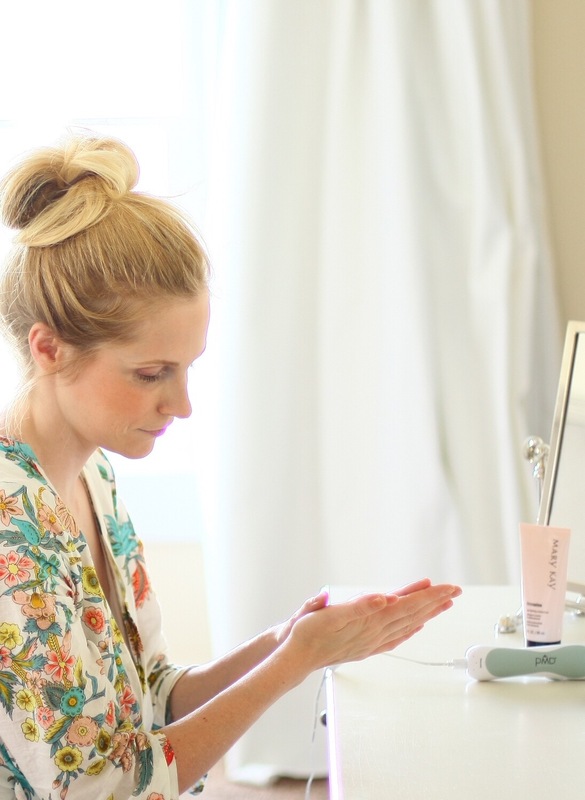 My friend Kami who blogs over at Sweet Charli did a periscope recently about a product that I already had but never thought to put on my face. Amlactin is a product that my podiatrist recommended for super dry calloused feet and I’ve loved it for years. I buy the handy Costco pump version now after seeing her scope. Rub some on your feet morning and night and you’re good to go. No more scouring with pumice. Best thing my mother ever taught me for my skin. I wear it every single day. Rain or shine. Always. I started when I was 11 and fell off the wagon a little in college but I’m a believer for sure. 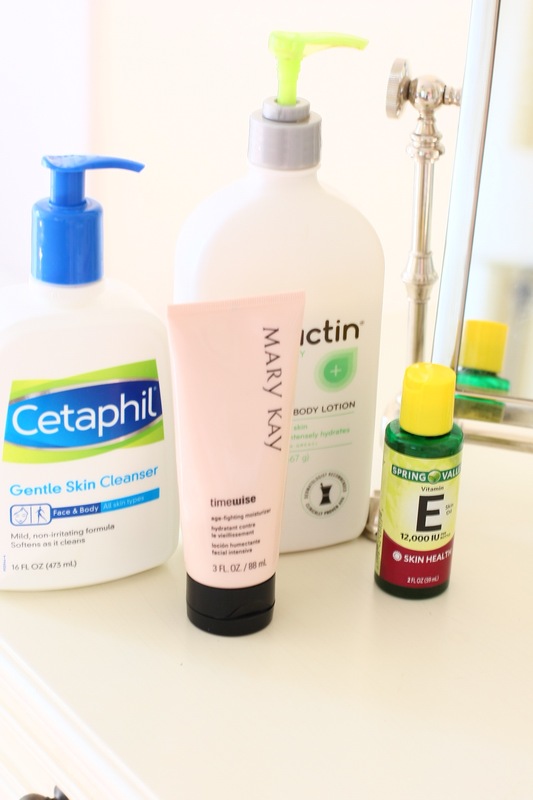 Right now I’m using a gentle moisturizing cleanser morning and night. 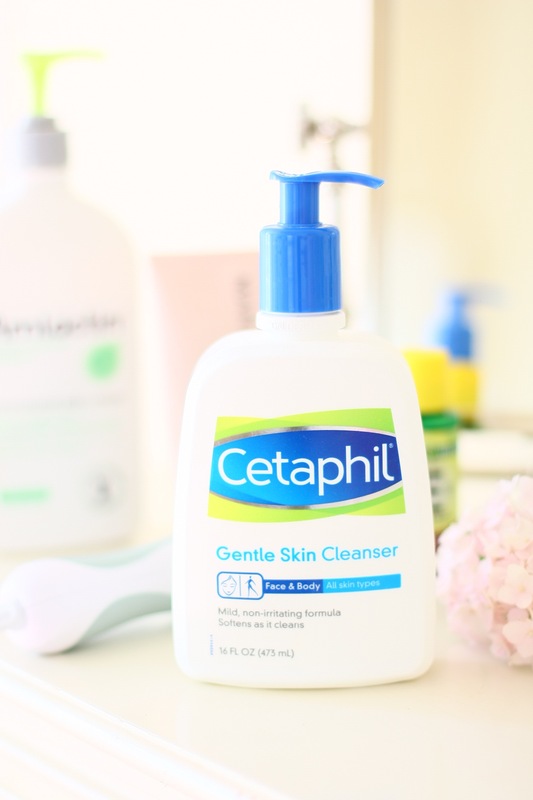 Love Cetaphil. I also love Creamy Cleanser 2 from Mary Kay. 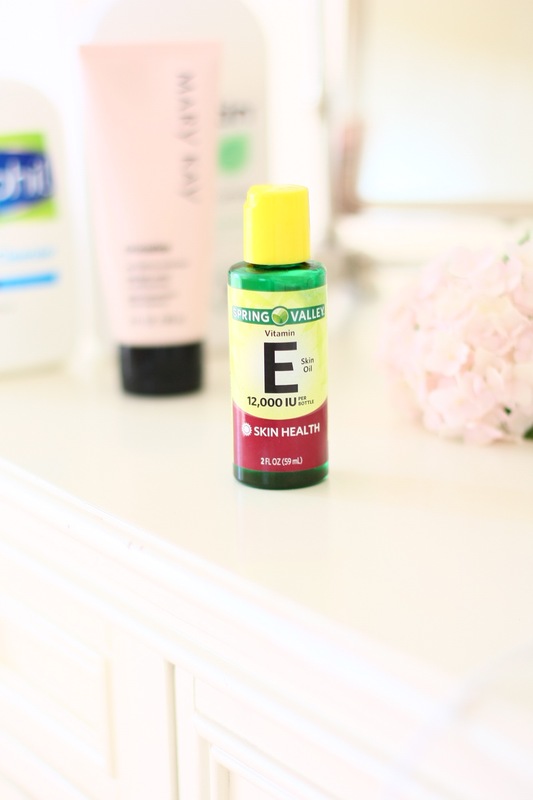 The Mary Kay Time Wise Moisturizer has been my fave since forever, and now I’m mixing one drop of Spring Valley vitamin E with it at night when I apply. I get my Mary Kay from Debbye (debbye (at) debbyecannon (dot) com) who also happens to be my mama, and skin care inspiration. She doesn’t know I’m posting this. Like I said, these are my honest opinions and routine. Tell me your favorite tricks and tips??? In the comments below or catch me on Instagram! I’ll be doing a live Periscope on Thursday July 21 at 9pm MST to hear your thoughts and answer questions. 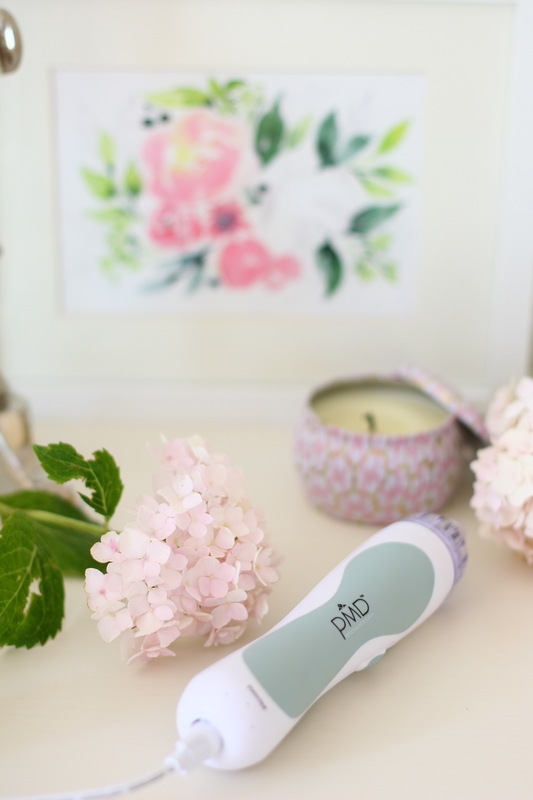 I’ll also be sharing another tip, that I forgot to include in this round up, with a product you probably already have at home! I made a template of what I wanted to paint on paper first so I could figure out the spacing. 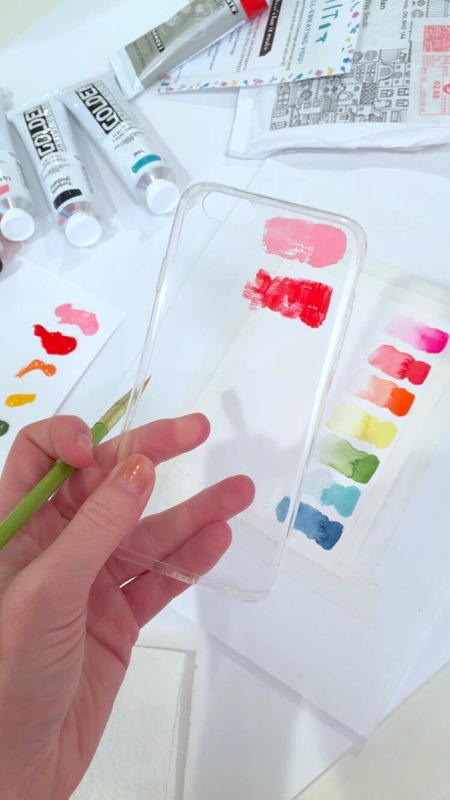 Then I just painted inside the phone case and tried to fade the color a little bit as I went toward the center. Wait for it to dry and voilà! 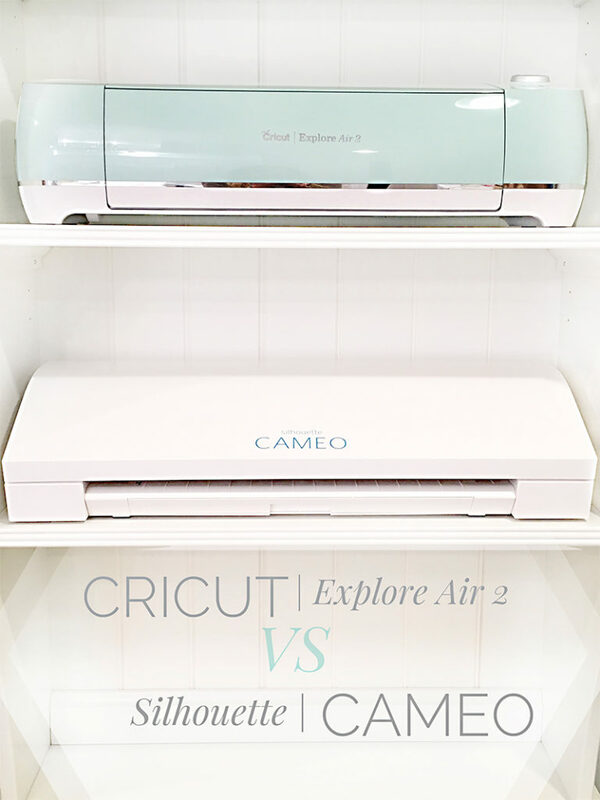 Be sure to head over to Cricut before 7/5 to try out two of my favorite “One Cut” cards! 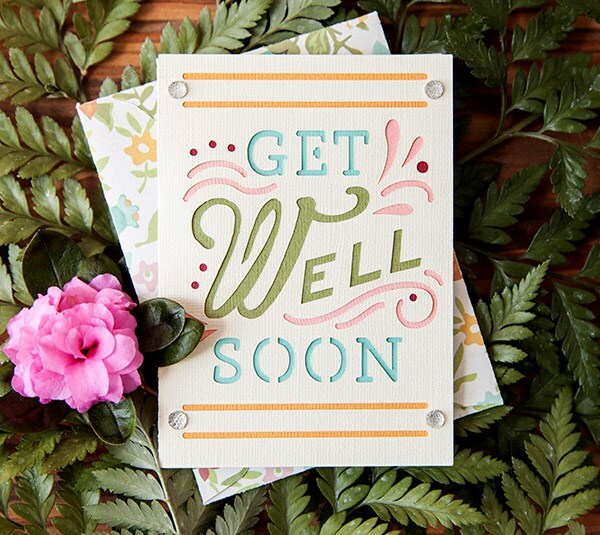 My Get Well Soon card and also my Thanks card are both available as part of their Cricut Free Cut of the Week program! They are both from my Simple Cards Cartridge – which is chock full of easy, fast and cute cards to make! 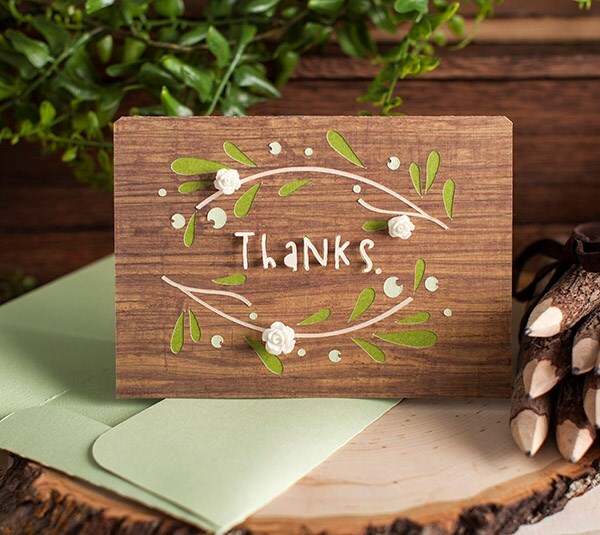 When I was designing it, I kept thinking that I wanted something I could make for friends and family that had my own personal touch, but that was fast and easy to put together for those days when I had no extra hands and no time. I hope you enjoy it as much as I do! Guys!!! I’m pretty sure the ENTIRE cartridge is free to use this week!!!! Go play!!! 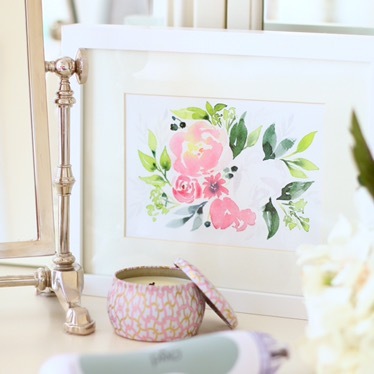 I’m so excited to show you a lovely commission from from Sita Montgomey Interiors! 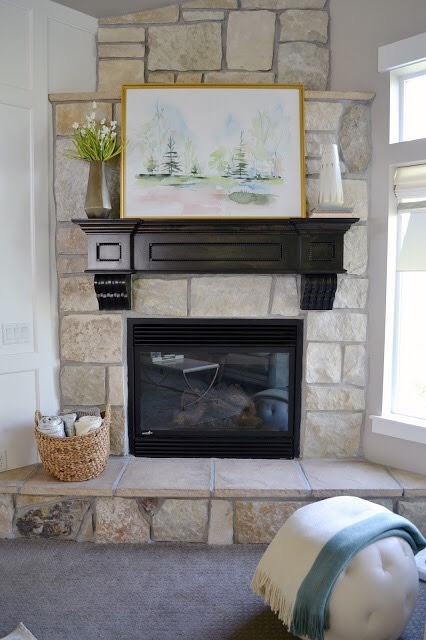 She was looking for something light and airy to compliment her family room and decided a landscape would work best for what she had in mind. I’ve followed Sita’s work for quite a while now, and have always loved how she incorporates classic styles with a contemporary twist. We are so excited to show you the final project! Be sure to check out all the pics and our feature here at Sita Montgomery Interiors!!!! 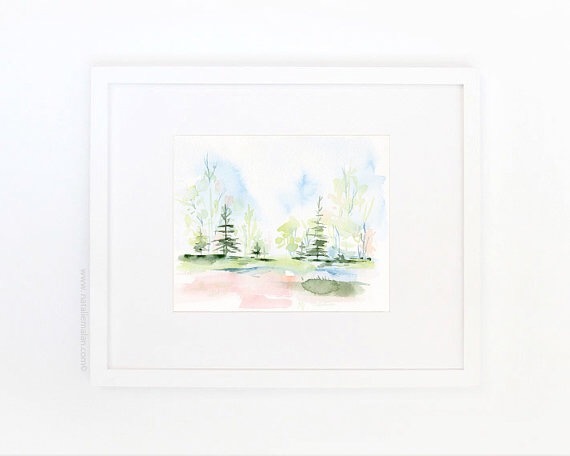 Watercolor Rhythm in Blush is now available as a print in the shop; you can find it here.